To pay or not to pay? That is the question – at least when it comes to the issue of wiping out your mortgage debt before retirement. There is no one right answer. In fact, even financial professionals are split. Some pros advise their clients to get free of their mortgages at all costs, while others suggest that the clients’ savings are better left invested. I believe the happiest retirees enter post-career life either mortgage-free or within five years of hosting a mortgage-burning party. This insight comes from the extensive research I conducted for my book, You Can Retire Sooner Than You Think. But whether you should pay your house off before you turn in your office keys depends on factors specific to your situation. Take a look at these three critical considerations as you plan for just how long you may want to hang on to your mortgage. 1. How will your tax bill be impacted? This is a big (and legitimate) concern for a lot of folks. After all, paying on a mortgage means a juicy mortgage interest deduction come tax time, right? Well, maybe. This deduction could shrink once you retire. Why? For starters, your tax rate may be lower. 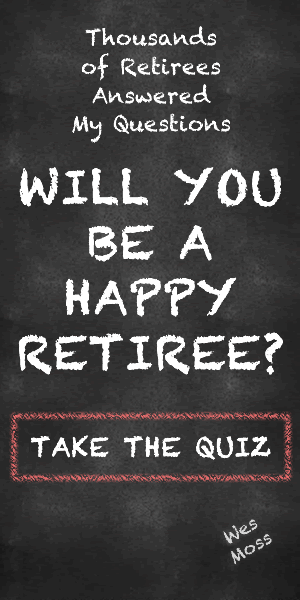 During retirement, you’ll no longer be working and saving – you’ll be collecting benefits like Social Security or pension income and using your nest egg. So, many people see a decrease in their total taxable income. Second, over the years your mortgage payments consist of more principal and less interest. This point consistently reduces the size of your mortgage interest deduction for your tax return over time. Your other itemized deductions will likely be lower, too. Because you only receive a tax benefit to the extent that your itemized deductions exceed your standard deduction, you may see less of a tax break from mortgage payments. And remember that the new tax law ushered in increased standard deduction limits, so you may not be itemizing your deductions going forward anyway. 2. What about rates of return? Try comparing the rates of return you expect to earn by paying off your mortgage versus keeping more of your money in savings. Should you choose to pay off your mortgage, your rate or return is certain; you “earn” by saving the interest rate charged on your mortgage. If you choose to invest your savings, things are a little less clear. The argument you’ll hear from the camp of pro-mortgage pros is that you can do better by investing your savings as you continue to pay interest on your house. As an example, these planners say that, instead of using $100,000 to pay off a 4% mortgage, you should invest it in the market, where you could see a return of, say, 8%. The result: a net 4% gain ($4,000). Hmm. This logic looks good on paper, but may not hold up in the real world. As we all know, the market can dip or stay flat. So, it’s a gamble. In either of these scenarios, you’ve been paying 4% on your mortgage with little or no gain on the other side of the equation. I’m a believer in the one-third rule. If you can pay off your mortgage with no more than one-third of your non-retirement savings, you should consider doing so. If you owe $50,000 and have $160,000 in savings, drop that bomb on the mortgage. You will still have $110,000 in liquid assets to ease you along the retirement road. 3. How would no mortgage affect your emotional and financial health? Oh, the Ahhhh factor. I’ve learned from the happiest retirees that there is a real sense of peace and serenity that comes with knowing that you own your house free and clear. It just feels good as you enter a new phase of life that is chock full of changes. Eliminating a house payment also dramatically lowers your monthly retirement living expenses, thus taking pressure off your nest egg and other sources of monthly income. This step also leaves you with more money to follow your dreams and passions – for added vacations, hobbies, or charitable giving. After all, that’s what a happy retirement is all about. But, you must be sure that you can afford this peace of mind without damaging your financial fitness. Never, ever use retirement account (IRA, 401k) money to pay off a mortgage. Remember, paying off your mortgage is about creating peace of mind. Tapping your nest egg won’t do that. So, that leaves your non-retirement accounts as sources for the Big Pay-Off. Be careful here, too. These funds also play an important part in your on-going security by providing a source of liquidity in case of an emergency or opportunity. Remember my one-third rule from above when deciding which route will be best for you. And even if you can’t dump a pile of money on your mortgage right now, consider paying a little extra each month. This way, you can shave months (or years) off the time that you’ll be making payments. And you’ll be further on the road most traveled by the happiest retirees – living mortgage free.